Switch to LED lightbulbs, switch off standby and keep your hot water tank cosy. Find out how to pull the plug on hefty gas and electricity bills. Then consider bigger ways to better savings, and how to get someone else to pay. We have some shocking tips which are going to get you buzzing (sorry). See what energy saving grants you could get at the government websiteopens in new window. Turn down your thermostat by just 1°C, and you could cut 10% off your heating bill. Ka-ching, an average saving of about £55 a year! Then set your boiler so your heating and hot water only come on when you need them. 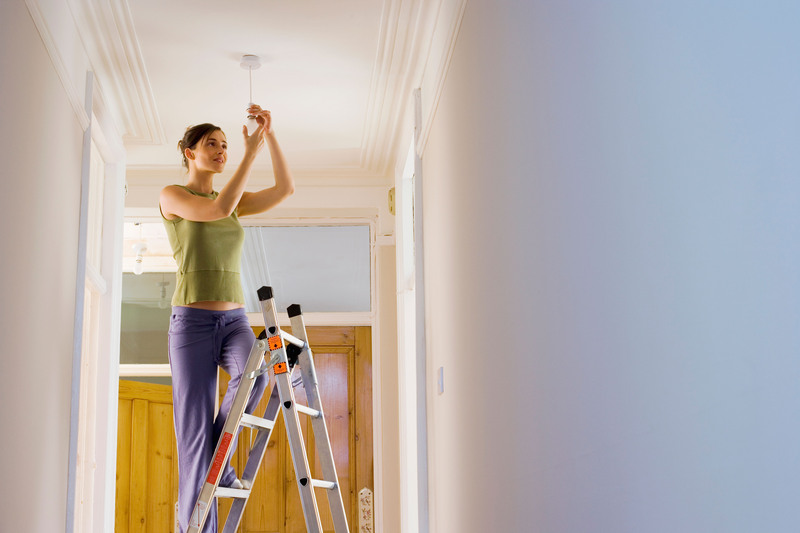 Switch the light bulbs to energy-savings ones next time they need changing. They last up to 10 times longer than ordinary bulbs. OK, so they may be a bit pricier. But they should save you about £55 while the bulb lasts. Switch off appliances on standby, and you could save around £30 a year. Almost all electrical and electronic appliances can be turned off at the plug without upsetting their programming. Just check with satellite and digital TV recorders – some may need to stay switched on, or they won’t record your favourite programmes. We don’t want you missing Strictly! Wait until you have a full load before running your washing machine and dishwasher. It costs less to do a full load than two half loads. Run the washing machine one less time each week, and save £5 a year on your energy bills, and £7 on metered water bills. Wash at 30°C where possible – use a pre-wash stain remover on particularly stubborn stains. Think before using your tumble drier. Hanging the washing out on a good old-fashioned clothesline, or indoors on a clothes airer, will save your cash. Dying for a cuppa? Just fill the kettle with enough for a cup, not a small bath. Put lids on pans so they get hot faster. Heat up small amounts of food in a microwave, rather than switching on the entire oven. Let food cool down before you pop it in the fridge or freezer. If a charger or power pack is warm or has a light on, it’s running up your energy bills. Check mobiles, laptops, set-top boxes and games consoles aren’t charging unnecessarily. Already got one? Check it’s at least 75mm thick. Fitting a British Standard jacket round your cylinder could save around £15-£25 a year, which is more than the cost of the jacket. We’ve become so used to just turning on the heating as soon as it becomes a little bit chilly, but it just uses up money. So next time, reach for some warm clothing or a blanket (maybe even a onesie!) before you reach for the thermostat.